The menu at Julie Joe’s is much larger than I expected. As expected, they have tacos and pizza, but they also do deli sandwiches, salads, and soups. The shop is not very big. There are a couple tables, but I have a feeling not many people dine in. There was a counter area that I assumed would be filled with pizza, but when I walked it up to it, there was no pizza. They do have ads for pizza-by-the-slice at lunch time. Not sure if they have it keeping warm somewhere else or how that works. I wasn’t in to pizza, so I didn’t ask. I decided to go with two tacos. I knew it wouldn’t be enough to fully satisfy me, but I also knew I had a long lunch break coming up in just a few hours. I didn’t want to spend a lot now and a lot then, so I went with something cheap that would hold me over just long enough. The two tacos cost a little ver $3.50. I took a seat at one of the tables while I waited, but had no intention of actually eating there. A few minutes later, my tacos were wrapped up and handed to me to take somewhere else to enjoy. 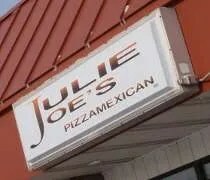 Julie Joe’s goes out of their way to make sure you know most of their food is homemade. Vegetables are chopped in-house daily. Ground beef is 90/10 and free of fillers. Soups and salads are made fresh daily. When I walked in, I wouldn’t have expected that, but after seeing the tacos, I’m a believer. They’re not huge tacos, but they are filled to the top with meat. I just got lettuce and cheese on my tacos although they also offer onions and tomatoes. 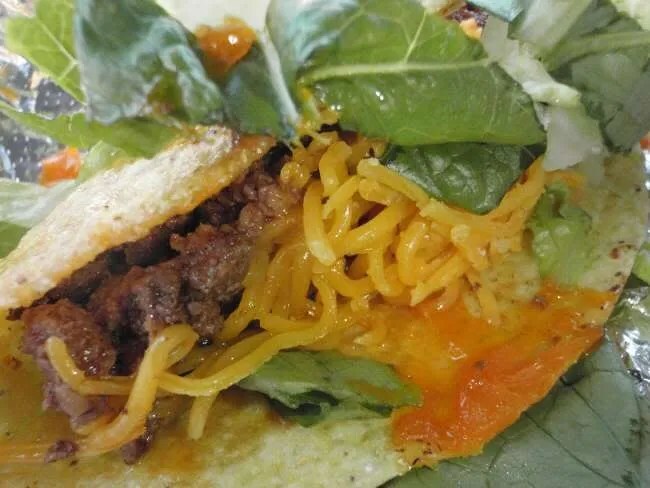 You could really taste the freshness of the lettuce and the cheddar cheese had melted into the shell and meat. They threw in a coupe packets of taco sauce. I was a little disappointed these were prepackaged, but other than that, I was pretty impressed with the tacos. 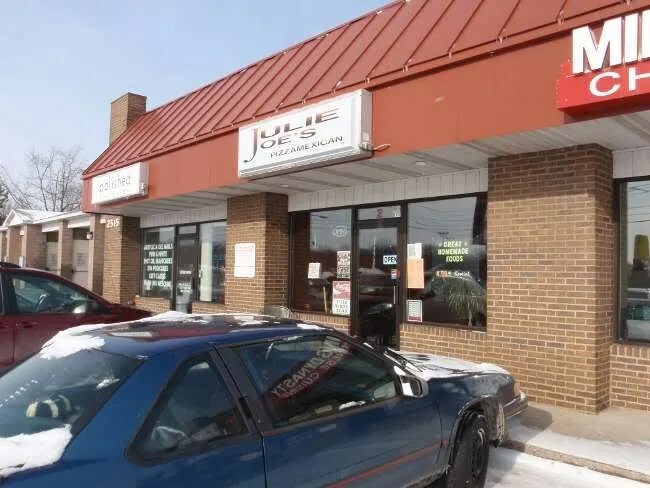 When it comes to price, Julie Joe’s is higher than the chains, so it’s not something I could justify eating all the time. However, the price is justified with the quality of the food. I’m a little bummed it took me so long to find Julie Joe’s open. It’s a quick, tasty lunch option that I only have a few more months to take advantage of.